Expert diagnostic insights… delivered in a way that puts the care back in healthcare. This is our commitment, reflected in every service we provide at every Larchmont Medical Imaging facility. We’re fully equipped with the advanced imaging methods to give you and your doctor the diagnostic answers you need. With a team of distinguished, subspecialty-trained radiologists, we can match each patient with the right expertise for the right diagnosis in a complete range of illnesses and injuries. Our physicians live and work in our community and are accessible for consultation with your doctor. 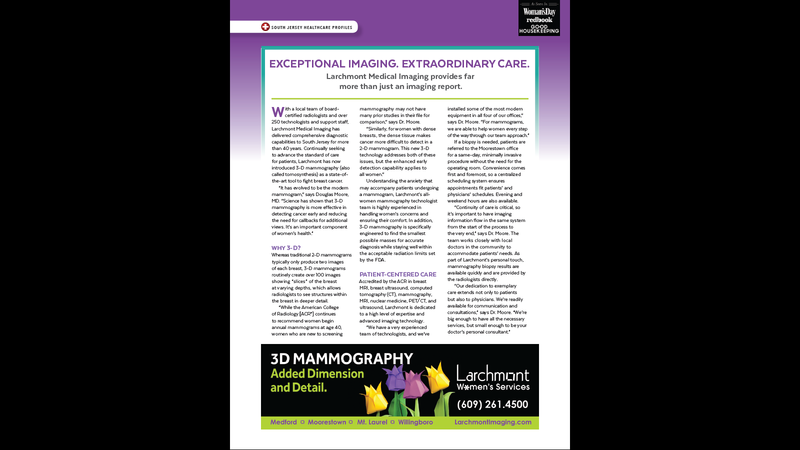 And we’re committed to delivering these services in comfortable settings, with a support team dedicated to making your imaging experience as pleasant as possible.